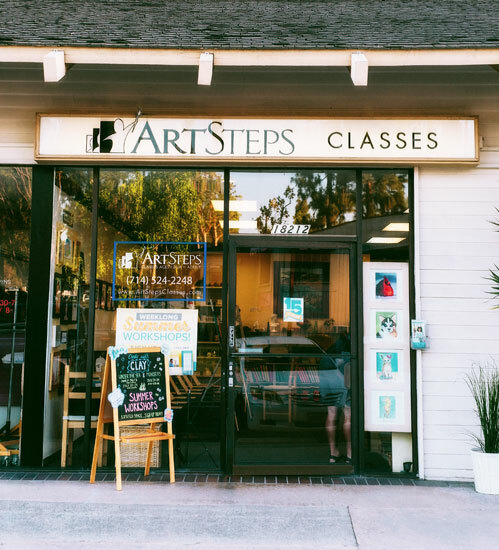 WELCOME TO ART STEPS YORBA LINDA! Conveniently located at Imperial Highway and Yorba Linda Boulevard, in the same center as Mimi's Café and Polly's Pies, our comfortable local area offers plenty for parents to do while kids are in class. Many students at this location have stayed 12 years or more, with some enjoying their relaxing art classes so much, they are continuing past their college years. 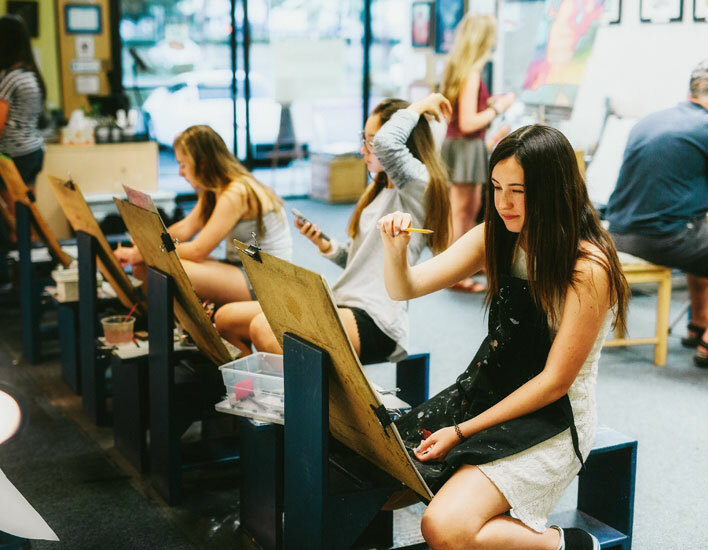 Each year, students often choose to participate in the Art Steps exhibit at Yorba Linda's Celebration of the Arts. Studio Manager Halie Santillan carefully directs and supports our amazing staff, seeing to it that teachers provide outstanding, consistent instruction, and meet or exceed our high standards. Click here for a FREE INTRODUCTORY CLASS! Classes are ongoing year-round. Waiting lists may apply for any particular class. Please contact us for more information. *Ask the office for special home school/pre-school pricing. **Adults and Teens are welcomed in any class for ages 7 and up. © 2019 Art Steps, Inc. All rights reserved. Site Design, Development & Hosting by Olive Street Digital, Inc.